I’m a seasoned and award-winning speaker – a passionate leader with a proven track record for inspiring audiences across the United States and abroad to think differently. 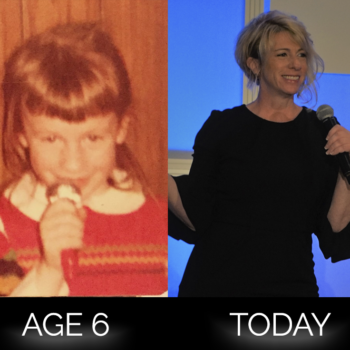 I cut my teeth in the networking arena as a former IT recruiter and recruiting company business owner who once helped thousands of people find new careers. I’ve helped place professionals in a variety of industries including technology, healthcare, manufacturing, finance, government, telecom, and oil/gas. Now, I travel the globe helping hundreds of thousands of people explore how networking can change their careers (and lives) too. I specialize in helping business professionals connect authentically. Experience has taught me many things – things I can’t wait to share with you! First and foremost, I am a proud mom. I aspire to raise smart, confident, and kind young men who value the importance of being contributions in this world. I work hard, when I am working, so I can enjoy more R&R with my family who I cherish. I’m one of those people that might make you roll your eyes because I talk nonstop about how much I love my career. Once I mastered the art of networking, it changed my life so I want to help others experience their own breakthroughs. One of my favorite quotes by Laurel Thatcher Ulrich. Ever since I was a little girl, I’ve known that I wanted to share my ideas (and use my voice) to help others learn and grow. In my keynotes and presentations, expect to laugh, cry and of course, hear more about how to network smarter. Whatever it takes to make an impact. I want my audiences to eliminate uncomfortable conversations, awkward smiles, and self-doubt. The best possible outcome for me is to transform audiences from perceiving networking as a daunting task to exploring how it can be a powerful tool. I have an appreciation for world travel, the company of great friends, and laughing so hard tears come out of my eyes. I spend too much free time binge watching Netflix, attending theater productions (I’m a former ballet dancer) and watching my teenagers play competitive sports. I’m not much of a cook so you’ll often find me at restaurants (especially Mexican food) in the company of family and friends. ORANGE HEELS black dresses – why? The color orange radiates warmth, adventure and happiness – hence the heels I wear. Orange also represents a spirit of fun which I bring to every event I speak at. Leveraging my favorite shade into the company brand serves as a vibrant visual reminder of WHY I do the work I do – teaching people how to network smart. My signature black dresses (classy) and orange heels (sassy) represent the importance passion plays in the work I do and how the power of a positive outlook can be life changing. I’m on a mission to inspire others to stay motivated, and consider new possibilities.